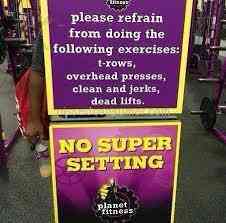 Most people are well aware of the need for proper diet and exercise for a good quality of life. This is even more necessary when your goal as sheep-dogs is to be able to stand against the wolves and protect the sheep. 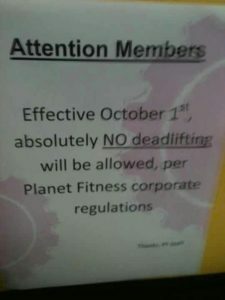 Recent events and follow-up research have made it clear that Planet Fitness is opposed to the idea of getting stronger and more physically fit. Ask Brother Matt about it. 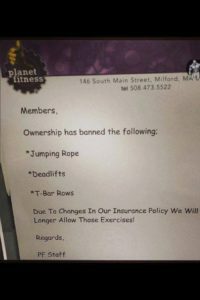 In the meantime, here are some items which help clarify why I feel anyone serious about any physical endeavor should boycott “Planet Fitness”.